Want your children to move out of the house someday? 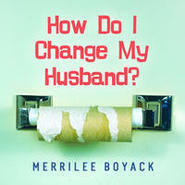 Practical, funny, and always sensible, Merrilee Boyack, author of The Parenting Breakthrough, shares field-tested ideas that will help children become self-reliant and independent. She talks about the importance of chores (or, as she calls them, "opportunities to serve"). She teaches parents "The Plan" and what children can do, year by year, to build confidence, life skills, and self-esteem. She also teaches parents how to use privileges and awards as motivators to help children learn to perform the tasks and jobs that will make them independent adults.